In honor of an upcoming trip to the Spanish Virgin Island of Culebra in Puerto Rico, I’ve assembled ten Afro-Caribbean string band tunes from the recordings of the now defunct Etcetera String Band (Bonne Humeur) and Kansas City based The Rhythmia to work on while there. Both bands have a knack for uncovering obscure tunes from Haiti, Trinidad, Louisiana, the Virgin Islands, Martinique and Venezuela. Many of these tunes date back to the 1800’s and share similarities to common fiddle tunes and rags, while still retaining a distinctly “island” feel that helps tag them as being from the Caribbean. Guitarist Kevin Sanders – a member of both the Etcetera String Band and The Rhythmia – helped me obtain a copy of the out of print Bonne Humeur CD last year which is definitely worth seeking out if you’re interested in this type of music. All transcriptions posted here were done by Nick DiSebastian. Here’s a YouTube playlist where some of these tunes can be heard. This is a collection of dance music as played during the late 19th century and early 20th century in Louisiana, Haiti, Trinidad, Martinique and Virgin Islands. The music represents a blending of European and African music, contains elements later found in ragtime, and is essential to anyone interested in exploring the murky world of “pre-jazz” or examining the fascinating links between the musics of New Orleans and the Caribbean. From Dominica, the Jing Ping Band pounds out a polyrhythmic merengue on button accordion, tambourine, guiro (scraper), and boom boom (bamboo-cane “tuba”). 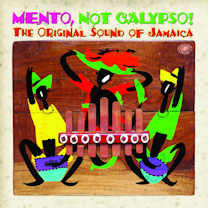 This multi-layered style of dance tune, common all over the Caribbean, is traditionally delivered without guitar or string accompaniment of any kind, drawing your ear into the complex interplay between the three rhythm instruments and the irregular bass notes of the accordion. “Masouc” (mazurka) is a lovely example of a Caribbean fiddle tune, played by fiddler Julius Alfred on a Saturday evening with his band in the village of Soufriere, St. Lucia. 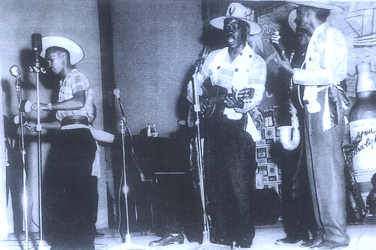 The string band consists of fiddle, guitar, cuatro (4-stringed guitar), and shak shak (metal cylinder full of pebbles). All over the Lesser Antilles string bands play tunes originally learned at plantation owners’ festivities for quadrilles, polkas, and waltzes. The Spiritual Baptists, or Shouters, a Trinidadian sect, use no conventional instruments, “but the congregation clap their hands, stamp their feet, strike benches and chairs and make rhythmical sounds with their voices. '” In their beautiful hymn, “Jesus Going to Prepare a Mansion for Me,” congregants gradually leave singing behind and break into pure hocketing and other improvised spontaneous rhythmic vocal effects in a dense outpouring of communal exhuberance. “Mr. 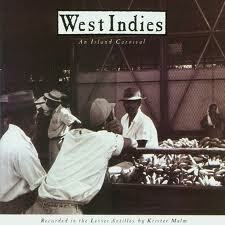 Walker” is played by a cocoa-lute duo from Grenada. The cocoa-lute is a musical bow, played with one end held in the mouth, and a plucked a single string. 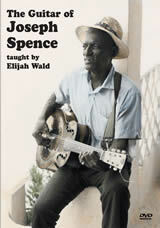 “Good Morning, Mr. Walker” was a huge calypso hit for the legendary Trinidadian calypsonian Mighty Sparrow, and later popularized by Bahamanian guitarist Joseph Spence. Here, played on a single-stringed African instrument, it has been reclaimed by folk tradition, and played with enough syncopation and drive to propel a hall full of dancers. Sheehy: “For over half a millennium, the region has been host to a continuous flow of human migration that has left in its wake a kaleidoscope of cultural hybrids,” and some of the most infectious music you will ever hear. This anthology, still in print, is a highly recommended introduction. Blake Alphonso Higgs was the other Blind Blake–I assume his nom de guerre was in emulation of the blues guitarist, but it may just be coincidence. For many years he fronted the house band at the Royal Victoria Hotel in Nassau. 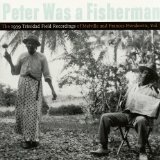 His music was a unique mix of old island favorites, more recent calypso compositions and a quirky grab-bag of minstrel songs and ballads from the United States. Minstrelsy was an especially important element of Blake’s work, evident both in his choice of the banjo and songs like “Watermelon Spoilin’ On the Vine,” “You Shall Be Free,” and “J.P. Morgan” (“My Name Is Morgan, But it Ain’t J.P.”). Blake has none of the self-conscious dialect and overdone comedy that was typical of the minstrel genre, though, and his sidemen combined the jazzy guitar licks and harmonies of groups like the Ink Spots with West Indian rhythms, with the result that his recordings have an easy humor and swing that few musicians from any continent can match. Of course, Blake also played lots of island songs, which he performs in a style that falls somewhere between the string-band calypso of Wilmouth Houdini and Jamaican mento, the slicker sound of tourist bands like the Bermuda Strollers, and the vocal group jive of American combos like the Cats and the Fiddle. They range from folk ballads like “Run, Come See” to upbeat tourist favorites like “Conch Ain’t Got No Bone” and calypsos like “Love, Love Alone,” the comic saga of King Edward’s abdication to marry an American divorcee. 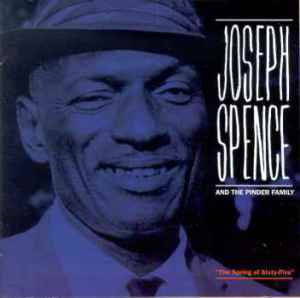 There is also a Joseph Spence connection: Blake knew Spence and provided his contact information to Fritz Richmond when Richmond went to Nassau to record what became the Happy All the Time album, and there are several overlapping numbers in their repertoires–which means that people who want to know what Spence was singing can often find out by listening to the Blake versions. In centuries past, the Spanish string orchestra used to be something of the size of the Grand Curucaye. Then it was less difficult to hold together groups of eight or ten players to form an orchestra. Today, in the country, they still play for dancing and religious festivals, but during the last fifty years the size of the band has diminished to four or five, mainly because of organizational difficulties found in the climate and temperament. The character, the flavor has deteriorated, and the music has begun to slip away into a folk limbo. The one thing that the Spanish demand from their music is an interesting complexity of rhythm. Until this point is well understood, the obscurity, occasionally repetitive nature and sometimes total absence of melodic line may deceive the listener into classifying the music as esoteric or ethnic. Plucked suing instruments have a rhythmic attack rather totally absent in the blown horn. For instance, in a superficial sense the cuatro is strictly for accompaniment and chords, but the Spanish do not listen to it that way. To them it is a rhythm instrument, imparting its nuances through the tiny variations made within the strict beat. So also is the cello, with its string slapping percussively on the base of the neck. Above all this, a clear melodic line would have been sung in the old days, floating, legato and lyrical over the busy maddening accompaniment. Especially this would be true of the serenals, she Vieje Croix, and the galeron (corruption of “galeon”–galleon), a sort of Spanish sea shantey dating back to the 16th century, sung by slaves manning galleons in the naval battles between the English and the Spanish in the straits between Trinidad and Tobago, where the Spanish suffered defeat. 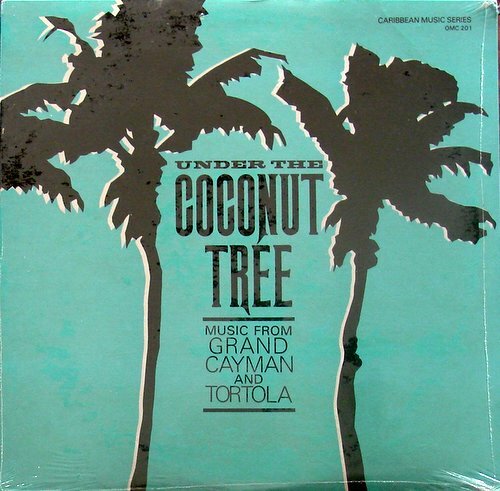 It is possible by listening with extreme care to pick out or to imagine a variety of hauntingly beautiful melodies and countermelodies buried in the old music of the Grand Curucaye Orchestra. 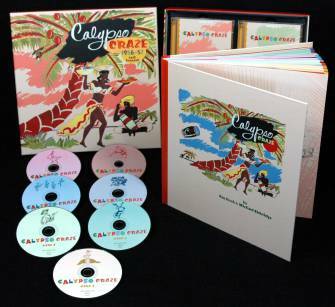 The quest to record and preserve the last vestiges of a fast-disappearing musical culture is vividly rendered in this account of a summer on the Bahamian island of Andros. In 1958, when Charters and his future wife, Ann Danberg, then in their early 20s, made their trek to the island, Andros was a barren, swamp-ridden backwater, with fewer than a thousand inhabitants, almost all descendants of Bahamian slaves. 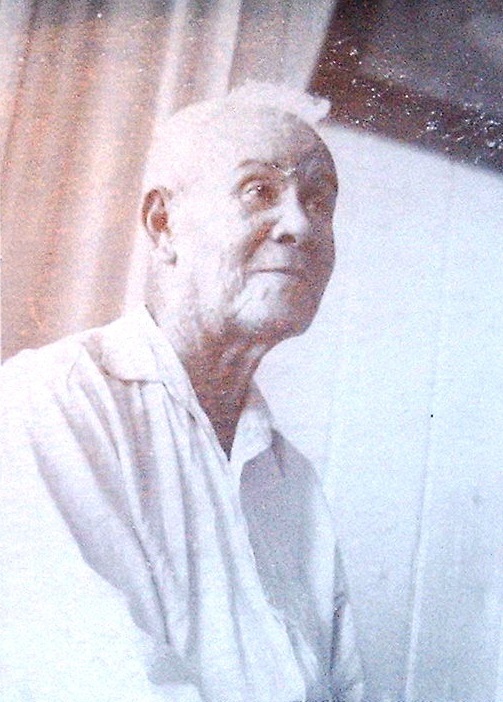 A budding music historian, Charters (author of “The Roots of the Blues”) had discovered a series of Alan Lomax’s Library of Congress recordings of Andros folk songs from the late 1930s, and was so intrigued by the music–a fusion of 18th-century anthems and African polyphony–that he decided to seek out the musicians and their songs. The Charters’ “discovery” of Joseph Spence was both fortuitous and coincidental. 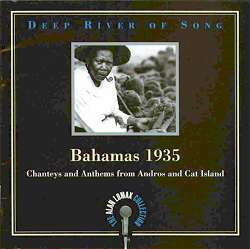 Sailing from settlement to settlement along the coast on small, locally made fishing sloops, they hoped to find and record traditional Bahamian music that had not been influenced by either tourism or the popular calypso music of neighboring Trinidad. Lugging a heavy, suitcase-sized tape recorder, and traveling on the tightest of budgets, he and Danberg finally made it to the tiny settlement of Fresh Creek. On the porch of their mosquito and crab-infested house there, they recorded the guitar music of Joseph Spence and the ballads and rhyming songs of John Roberts. Still, they were assured that their project wouldn’t be complete until they had heard the voice of the legendary singer, Frederick McQueen. Charters’s final chapters document their search for the elusive musician; he concludes with a rousing outdoor performance by McQueen. The elegiac, leisurely pace of this slim memoir evokes the moods and rhythms of a long-distant island summer. This video is an except of a longer film showing Anna Lomax Wood returning in 2010 to one of the sites of Alan Lomax’s 1936-37 Haitian recordings, and playing the recordings for the villagers for the first time. “I have looked about enough to be sure this is the richest and most virgin field I have ever worked in. I hear fifteen or twenty different street cries from my hotel window each morning while I dress. The men sing satirical ballads as they load coffee on the docks. Among the upper-class families many of the old French ballads have been preserved. The meringue, the popular dance of polite society here, is quite unknown in America and has its roots in the intermingling of the Spanish and French folk-traditions. The orchestras of the peasants play marches, bals, blues, meringues. Then mama and papa and kata tambours officiate at as many kinds of dances ⎯ the congo, the Vodou, and the mascaron. Then there seem to be innumerable cante-fables [oral tales punctuated by songs or rhymes performed by the audience]. Each of these categories comprise, so I am informed, literally hundreds of melodies ⎯ French, Spanish, African, mixtures of the three. 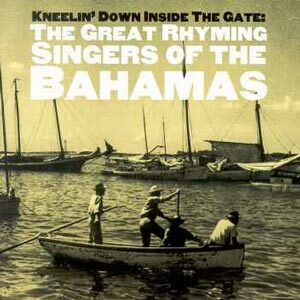 10 CD box set of Alan Lomax’s 1936-37 Haitian recordings available here. This was filmed on August 10, 2012, in Brookfield, Vermont, USA, by ethnographer Nathan Paine. Today as before, quadrilles are played by a variety of characteristic ensembles, many of them assembling in an ad hoc, informal manner where precise instrumentation depends on availability of performers. Quadrille groups might include fiddle, clarinet, flute, concertina, and various percussion instruments, such as tambourine, triangle, and scraped jawbone of a horse. Quadrille melodies, like those of Caribbean contradances, are predominantly European in character, although they may be enlivened by conventional improvised embellishments and syncopations, as when St. Lucian fiddlers alternate phrases (and often renditions of a given tune fragment) in binary and ternary meter. The structure of individual movements in a suite is often informal; Jocelyne Guilbault notes how a fiddler may construct a section by freely repeating or alternating two or three short tunes. In some cases, the fiddler may seem to be playing melodic fragments rather than full-blown, eight-bar melodies. 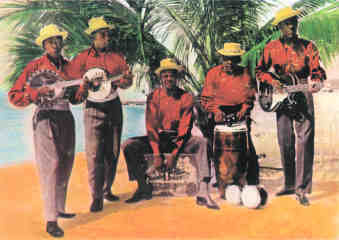 Quadrille tunes in Guadeloupe and Martinique often consist of arpeggiated ostinatos rather than song-like melodies or sectional passages. porating enthusiasts of different generations and social backgrounds. Guilbault notes that the relatively old age of quadrille participants in St.Lucia does not necessarily indicate stagnation but rather reflects that many people take an interest in the genre only as they age. Franco-Haitian fiddler then joins the musicians and later teaches the tunes to his own friends. “Dos-a-dos, promenade votre partenaire…” The dance calls and partner swinging might be familiar to your average American folk dancer, but this is no Appalachian square dance. We are at a “Creole Ball” and both the music and dance – a heady mix of African rhythms and 19th century European dances known as Kwadril – come from the French West Indies. Behind the traditional dances of the French West Indies is a tangled transatlantic cultural conversation. Most North American musical forms have their origins in the marriage between African rhythms and European melodies – country music, blues, jazz, rock, etc. French Caribbean music is similar and the dance traditions reflect this. Starting as early as the 16th century, the urban European upper classes began to adopt and “refine” wild rural peasant dances, such as the “country dance” (contredance). By the 18th century, these had evolved into new forms, such as the Quadrille or other “square” dances, which quickly became all the rage in ballrooms throughout Europe. These dances made their way – along with French colonists – to the plantations of the Caribbean. Lost yet? It gets more confusing. Over time, the contredance and quadrille were “Creolized” by African slaves, who initially adopted the dances to mock their masters. After the abolition of slavery in 1848, Afro-Caribbeans took the dances and music to whole new levels, adding a bit of tropical sultriness into the genteel and courtly dance patterns. Quadrille became Kwadril, and other new Caribbean styles emerged out of European dance forms. Yet the dances still kept some of the aristocratic trappings from Europe – curtsies, bows etc. This should clear up most of your questions.